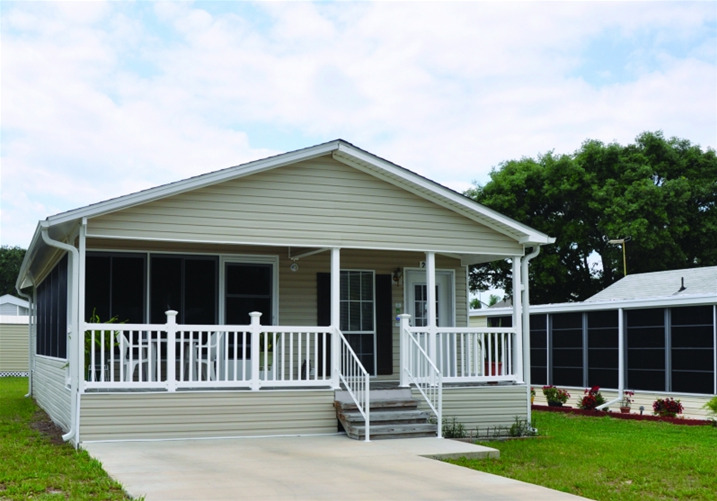 Topics RV Resort is located in beautiful Spring Hill, Florida, and features 231 sites with 30 or 50 amp service. 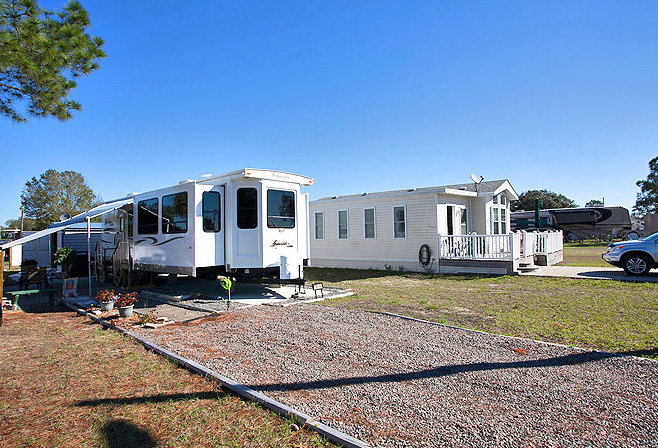 Selected sites also offer patio pads, and cable TV and telephone hook-ups are available. 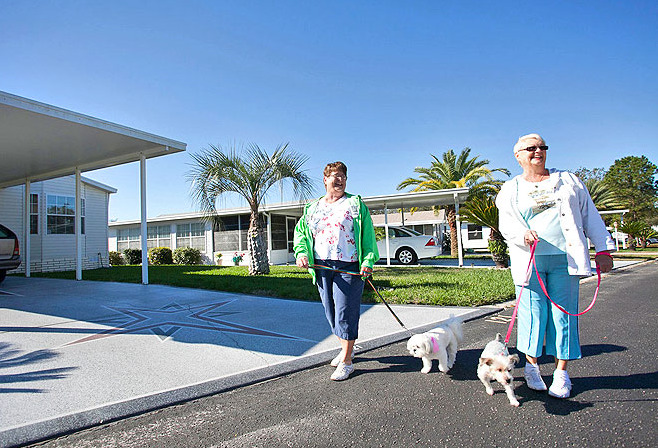 Our daily, weekly, monthly, and annual rates are perfect for any type of budget, so you can plan your visit to our RV resort in Florida at a time that makes sense for you. We are easily accessible from Highway 41, and are less than half an hour from the Gulf of Mexico. 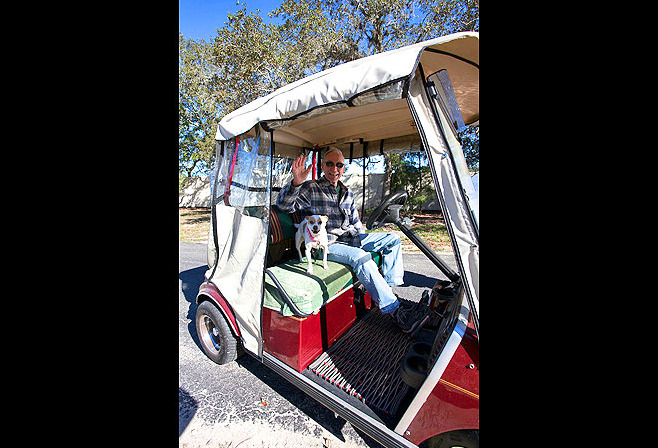 At Topics RV Resort, our friendly on-site staff is just one of the reasons we remain a top RV resort in Florida. 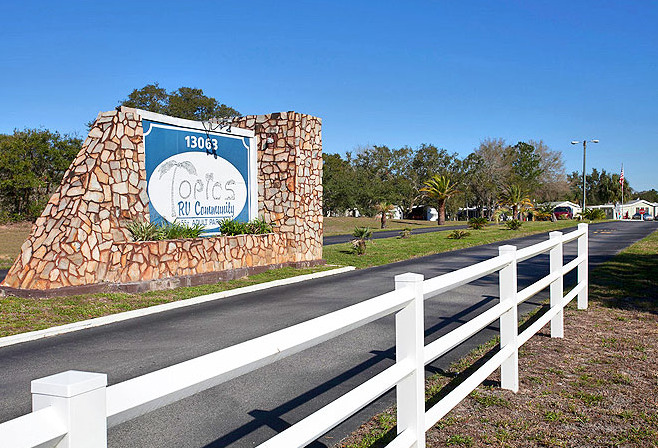 Located on the Gulf side of the state, Topics also offers a great RV resort location in Florida's quiet Nature Coast region just north of Tampa-St. Petersburg. Our park is located near the Gulf of Mexico’s coast and Pine Island State Park. We offer full hookups, store, propane, 2 clubhouses and Wi-Fi is available. Enjoy fishing, canoeing, scuba diving, golfing and you can swim with manatees. Restaurants and shopping are close by. Join us for social events or relax by the pool or social gazebo. Come and enjoy the peace and relaxation of a small campground close to WeekiWachee® with canoeing and kayaking available. Pet restriction of 30 lbs. or under. Shower facilities, 30/50 amp service and restrooms offered. Experience your Florida vacation at a different pace with beautiful Gulf beaches, family attractions and fantastic outdoor amenities that make the Hudson region the ideal place for your next vacation. From the rustic landscape surrounding the resort to the beaches and tropical atmosphere, you’ll be connected with naturally-preserved areas and wildlife that will inspire you to relax. 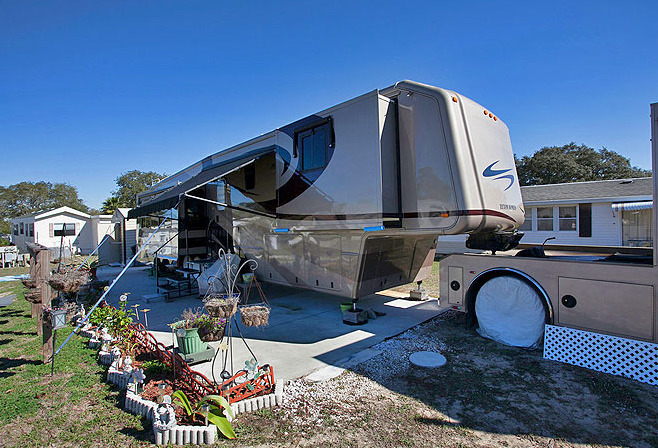 We offer 66 paved, shaded RV sites, full hookups and 30/50 amp service. We can accommodate any size RV. 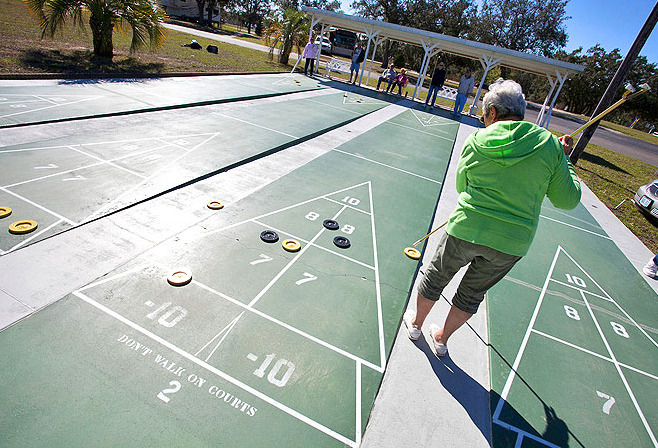 Amenities include a lake, picnic tables, laundry, comfort station, screened pavilion, heated pool, rec hall with A/C, shuffleboard, horseshoes and planned activities during season. We have special group rates available for your club or group. Wi-Fi is available. Centrally located and only 50 miles from the Tampa Bay area. This resort offers a spectacular clubhouse, heated swimming pool, shuffleboard, rec center, game room, billiards, horseshoes, bocce ball, exciting on-site activities and so much more. Resort cottage rentals are also available. It's the perfect place to cool your heels. 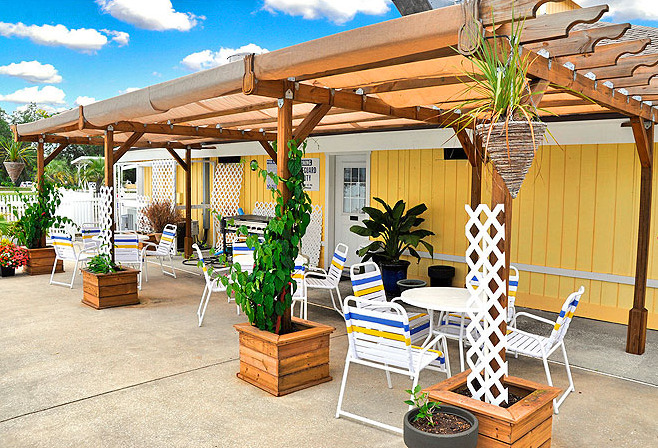 Welcome to your sunshine destination, Gulf Breeze RV Park. Our friendly community is ready to meet and greet you! 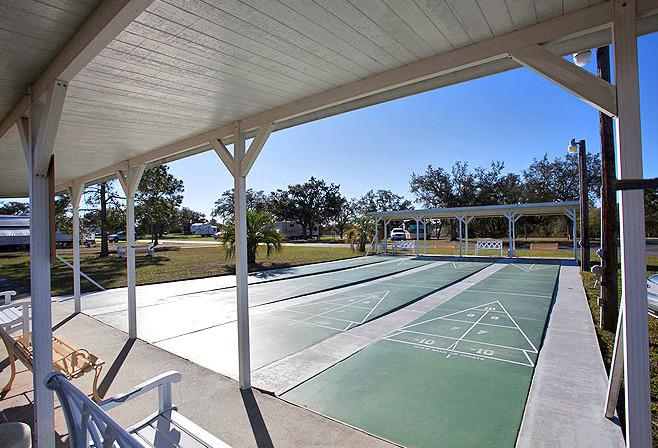 Enjoy the inviting heated swimming pool, or a game of shuffleboard. 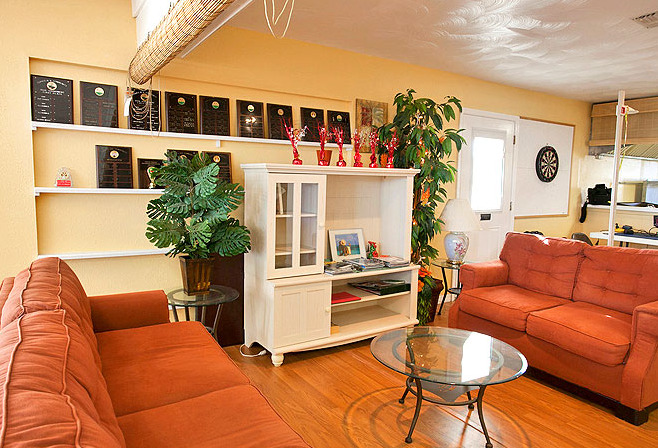 Relax in the comfortable clubhouse playing cards, bingo, visiting or watching TV. Gulf beaches, fishing, boating, golf courses and theme parks nearby! Beautiful 187-acre resort located north of Tampa in the rolling hills of Central Florida. Six ponds and more than 110 activities. 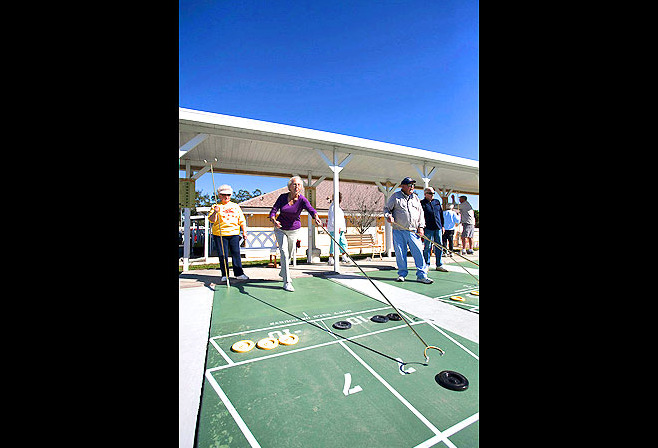 Enjoy golf, tennis, shuffleboard, the heated pool, spa, bocce ball, crafts, dancing, bingo, cards, weekly entertainment, activities and dinners. Country store and post office. Attractions are within an easy driving distance. 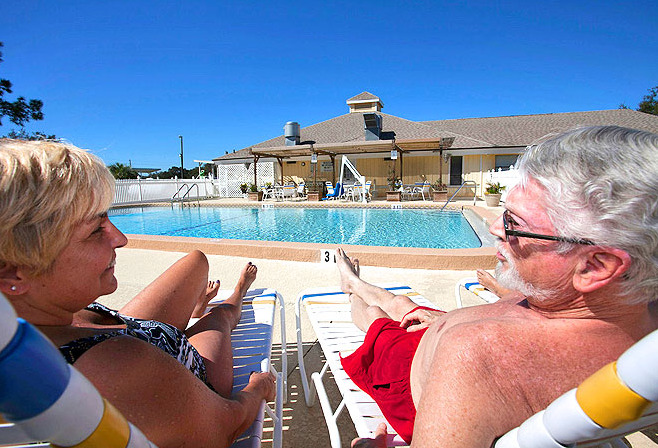 Our resort offers a variety of amenities including an indoor heated pool, hot tub, sauna, outdoor pool, Wi-Fi, laundry facilities, restrooms and showers, fitness center, clubhouse, lots of clubs, activities and much more! We are located about 20 minutes east of the Gulf of Mexico. Come here to a tranquil country setting and a friendly atmosphere. Pets welcome but some breed restrictions may apply. Enjoy our upscale clothing-optional club in a secure environment. Our world-class facility offers a 2500 sq. ft. clubhouse, a pool, medium temp. conversation pool and a hot spa. Perfect setting for first time clothing optional experience. Enjoy your Florida vacation au-naturale! Close to all amenities and Clearwater Beach. "Big Fun in the Sun!" 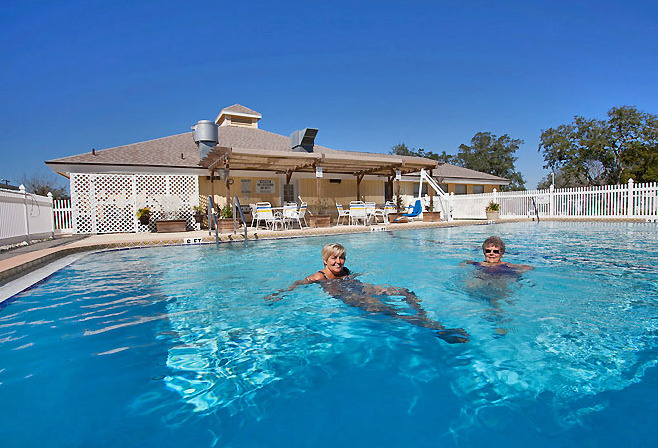 An Active 55+ RV Resort, a quiet & relaxing destination, conveniently located just north of the charming town of Brooksville, Florida. The grounds of Belle Parc are like a nature preserve, shaded with grand live oaks draped in Spanish moss that host a bevy of birds such as egrets, herons and cranes. Our private lake is the perfect place to cast a line from the dock or go for a paddleboat ride. 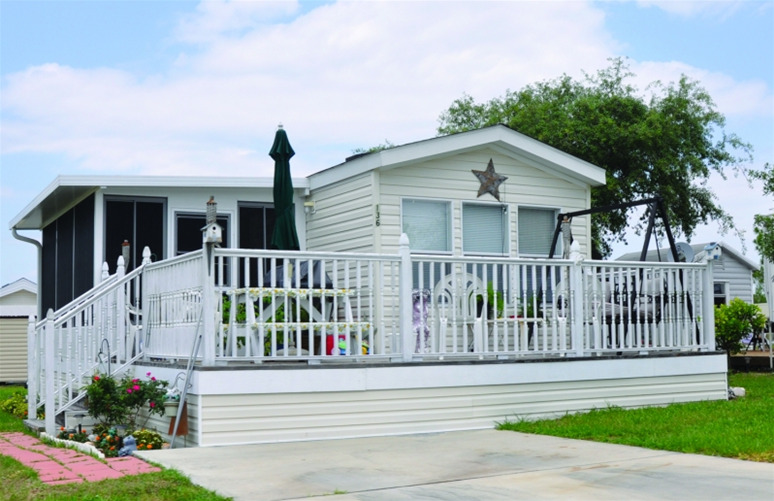 Whether you stay one day or a season, you’ll love the unhurried lifestyle and many activities at Sundance Lakes Adult RV Resort. There are four spring-fed lakes for fishing. The pool is surrounded by a sun deck where you can relax before you dive into the glistening water. 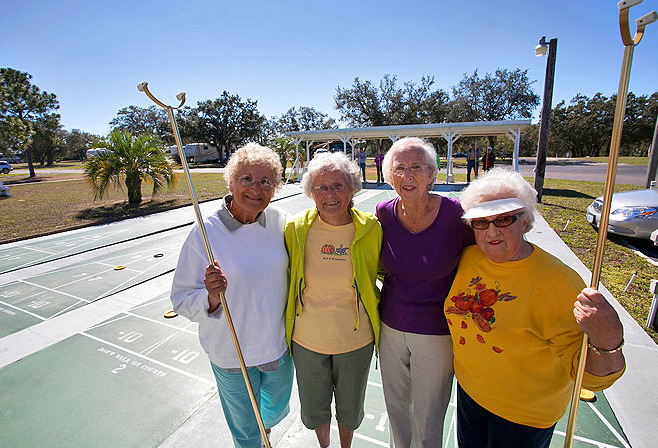 Get together with your new friends for a game of bocce ball, horseshoes, shuffleboard or have a picnic with the friends. 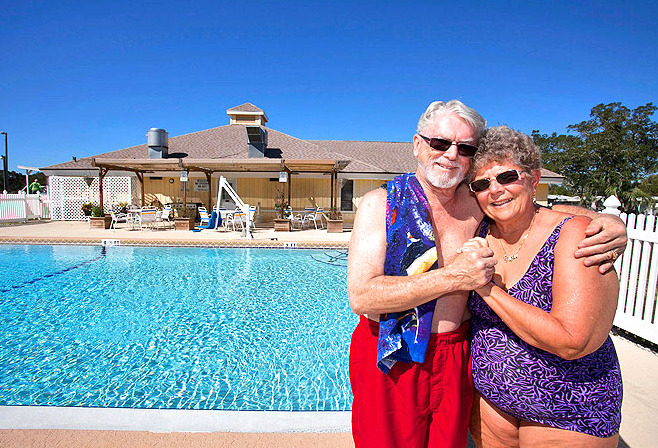 The world-famous beaches of Florida’s “Sun Coast” are moments away from Oak Springs RV Resort. Nearby are the major tourist attractions of Central Florida including Busch Gardens®, Weeki Wachee Springs® and the Greek Sponge Docks. While away your leisure hours. Golf courses, beaches, marinas, restaurants and shopping are all close by. Come share the sunshine. It’s our way of life.